Lilies are common in the garden. They come in various sizes and colors. 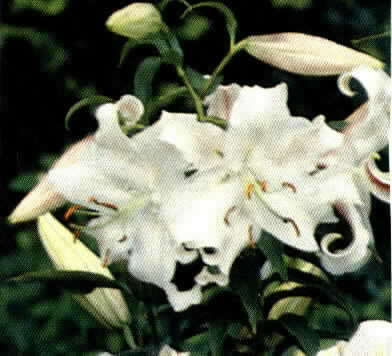 White lilies can be quite striking when the moon is high and the sky clear. They are also tend to be fragrant the most during the evening. You can get these just about anywhere. Your garden center and the new box hardware stores will have them, but my favorite is to trade with neighbors and friends. Sometimes you can get some really old species that way.